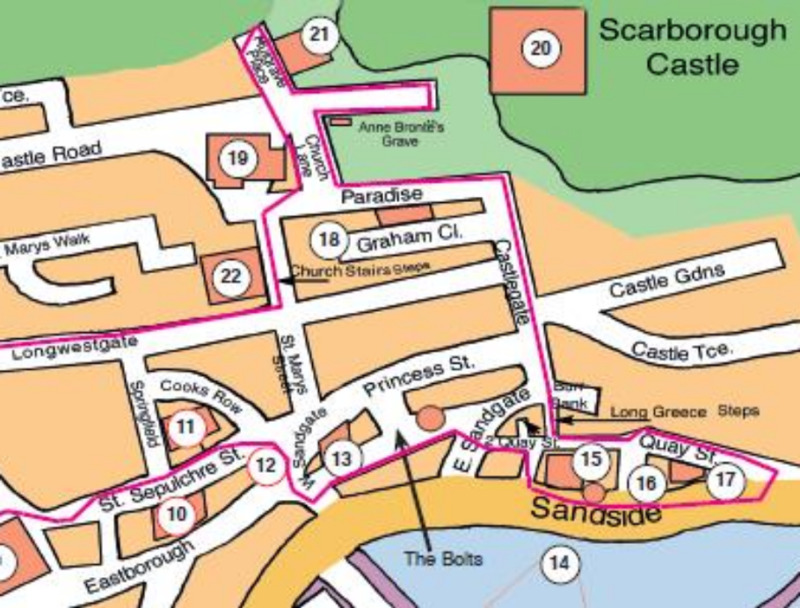 Surviving relics of medieval town life are as hard to come by in Scarborough as anywhere else. There is one unique feature, however, still existing just behind the seafront razzmatazz of modern Sandside to remind us of that long vanished world. The Bolts are a series of narrow, poorly lit passageways running intermittently behind the seafront cafés and amusement arcades. In 1225, Henry III made a grant of forty oaks to construct a new quay and houses were erected on the new won land, however, the existence of long established rights of way ensured that the The Bolts did not disappear beneath the new buildings. Emerging from The Bolts at the beginning of Quay Street, the old house at the junction with Whitehead Hill (No. 2 Quay Street) is another survivor from an earlier age. It probably dates from the late 15th century and is a timber-framed gabled building with huge posts at each corner rising to the eaves. Internally they support heavy beams known as dragon beams. The timbers of the second storey jut out to support the gable but originally they supported another whole storey which would have been jettied out. No 2. Quay Street was restored in 1965; the casement windows date from then and the lath and plaster was removed at that time to reveal the timber frame. 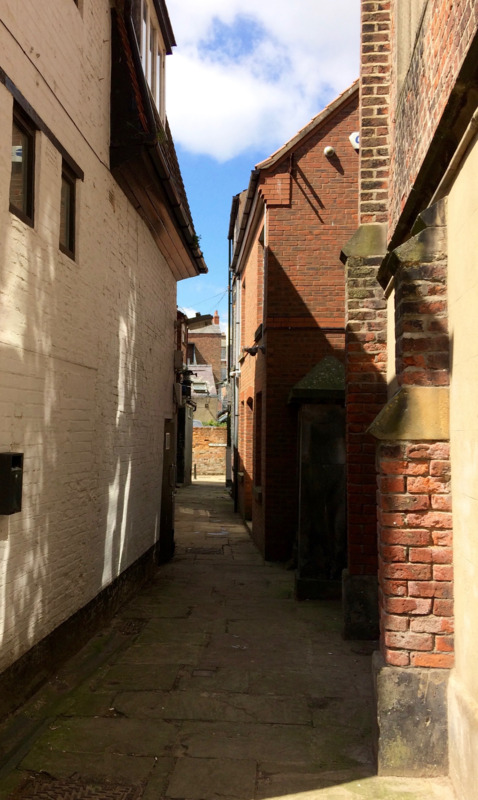 The pebbledash finish is also modern but the house still provides a reminder of how this ancient street looked in Elizabethan times, when it was the principal thoroughfare of Scarborough. After this glimpse of Quay Street from Whitehead Hill, turn right and walk the few yards down to the harbour area on the seafront.